Summary and Comments by Ken Fischman, Ph.D. The loss of apex predators all over the world is having a pervasive influence on nature. There are cascading effects of the disappearance of predators. These “top-down forcings” (causes of variability) are having unanticipated effects, such as increase in disease, wildfires, losses in carbon sequestration, appearance of invasive species, and disruption of biogeochemical cycles. In its 4.5 billion years of existence, our planet has undergone several mass extinctions, with huge loss of biodiversity, followed by novel changes. We are now in the early to middle stages of a sixth mass extinction. Man has mostly caused these recent extinctions. Many of them are started by the removal of apex predators. These extinctions may be mankind’s most pervasive effect on the natural world. Extinction obviously means a permanent loss of these animals, which in turn often has a ripple effect, causing many other changes throughout the ecosystem. These widespread changes are what are referred to by scientists as “trophic cascades” (TCs). Some of the ultimate outcomes of TCs are: fires, disease, climate change, habitat loss, and pollution. Theory behind concept of TCs: (1) An ecosystem is shaped by its top consumers (usually apex predators). (2) Alternative stable states. TCs push a system, and it reaches tipping points. These are thresholds or breakpoints, and when they are reached, significant phase shifts occur. (3) Connectivity – this is built around connection webs and through the mechanics of predation, competition and mutualism (organisms that have a supportive effect on each other), biologically, and through physicochemical processes. Cryptic nature of TCs: Species interactions are usually invisible under stable conditions. They may require years to become evident due to the long generation times of some species. The effects usually do not become evident until after the loss. The scales of TC s can be much more vast than most feasible scientific studies can handle. Most field biology studies concentrate on small, discrete areas, and on non-motile species, with short generation times, making them easy to manipulate. This results in an incomplete and distorted picture of apex predator influence. Hence, the authors have written what is called a mega study, which brings together the results of many other similar studies, using similar protocols & subjects. This enables them to combine the studies & to note general principles and draw important conclusions with more certainty. Widespread Occurrence of TCs: TCs have been documented throughout the world. When apex predators are reduced or removed, and sufficient time and space are accounted for, their influence becomes obvious. “Natural experiments” showing these effects are pervasive: e.g. loss of: killer whales, lions, wolves, cougars, sharks, sea otters. These interactions are often complex. e.g. apex predators have little influence on megaherbivores: Elephants, hippos, rhinoceroses, etc. in Africa are basically invulnerable to predation. Mostly, therefore effects are seen in the increase in smaller herbivores: e.g. Thompson’s gazelle, impala. Influence of apex predators on autotrophs (An organism capable of synthesizing its own food from inorganic substances, using light or chemical energy. Most plants are autotrophs): (a) Increase of autotrophs – by suppression of herbivory (any animal that feeds mostly on plants), e. g. the loss of sea otters, which prey on shellfish, have diminished the health of kelp forests. The extirpation of wolves from forests has resulted in a corresponding increase of ungulates adversely effecting other animals and plants in various ecosystems. e.g. the removal of wolves from what has become Rocky Mountain NP in Colorado has resulted in the overgrowth of elk, which in turn have devastated much of the plant life. (b) Decrease of autotrophs – e. g. large mouth bass by feeding on smaller fish, which feed on 200 kinds of plankton (microscopic aquatic plants & animals) have decreased their numbers to such an extent in many mid western US lakes, that this has resulted in a loss of oxygen, leading to the demise of other life forms in these lakes. Herbivory and Wildlife: Increase in herbivory (mostly domestic animals that eat plants) has resulted in a change from grass lands to scrub lands, & the burning up to 500 million hectares (ha) in the global landscape and has released over 4,000 metric tons (Tg) of CO2 into the atmosphere. Diseases: e.g. Rinderpest (an infectious viral disease) in East Africa decimated ungulates. (animals like wildebeests & buffalos that chew their cud). This led to an increase in plant biomass, which in turn led to wildfires. Vaccination and control eliminated Rinderpest and this led to the recovery of the wildebeests and buffalos. Because of this, shrub lands became grass lands, which reduced the frequency and intensity of wild fires. e.g. Impacts of predatory fish on mosquito larvae: effects the incidence of Malaria. Physical & Chemical Influences: There is a linkage between apex predators & atmospheric CO2. e.g. presence or absence of predatory fish in lakes can effect the production & uptake of CO2. e.g. whaling transferred 105 million tons of carbon from whales to the atmosphere. e.g. Extinction of Pleistocene herbivores reduced atmospheric methane & contributed to a drop of 9° C. temperature drop in the Younger-Dryas period, some 12,900 years ago. Soils: e.g. Herbivores profoundly influence soils. e.g. introduction of rats & arctic foxes in high latitude (mostly arctic) islands reduces soil nitrogen by disturbing nesting birds. Water: e.g. collapse of large demersal (bottom feeders) fish in the Baltic Sea led to a 20% decrease of silica in pelagic diatoms (one-celled organisms that make up the majority of plants found in the open sea). e.g. Yellowstone wolves protect riparian vegetation from over-browsing herbivores. This leads to more shade & cooling of streams, which in turn decreases streambed erosion & increases cover for fish & other aquatic organisms & leads to an increase in songbirds. Invasive Species: Lack of top-down predators allows invasive species to spread. e.g. spread of the brown tree snake, originally from the Solomon Islands, on Guam, which has exterminated most of its birds, was due to lack of other predators, which could have held the snake population in check. e.g. reduced fish predation in the Mississippi River led to the invasion of zebra mussels. Biodiversity (Abundance of & diversification in living creatures): Biodiversity(BD) is now largely confined to protected areas (e.g. national parks, designated wildernesses). Loss of BD has been mostly caused by over-exploitation (hunting, fishing, increase of areas reserved to domestic & other ungulates, etc.) has led to habitat loss & fragmentation of ecosystems. e.g. over browsing by an increasing population of elk in Rocky Mountain NP is due to lack of natural predators,(i.e. wolves). The same situation occurred in: the Kaibab Plateau, adjacent to the Grand Canyon in Arizona, which was overrun with deer. Minnesota has a serious problem with areas overrun by more than 1 million deer. Princeton NJ had to employ sharpshooters to kill deer, which were overrunning suburban gardens. Deer (ironically) starved on Deer Island in San Francisco Bay due to their burgeoning population, which was unchecked by predators. Mesopredators (coyotes) in San Diego canyons strikingly changed populations of songbirds and cats. e.g. Sea Stars in intertidal areas interact with mussels, wiping out many species. e.g. loss of small vertebrates after the extirpation of wolves, cougars & bears in temperate & boreal North American forests changed the ecology of these forests. Effects of Tree Longevity: e.g. wolves & other megapredators were almost entirely eliminated in the US by the 20th century. At that time there began to be recruitment failure & reduced tree growth rate in many places (most obvious in national parks). e.g. wolves were eliminated 100 yrs. ago on Anticosti Island in mouth of the St Lawrence River. This led to a decrease in the number of saplings & an increase in graminoids (grasses), e.g. wolves were extirpated from the Scottish island of Rum 250 -500 years ago, resulting in total loss of its forest. It is now treeless. It is easy to overlook the effects of some predators, either because they are not charismatic megafauna, like “lions & tigers & bears oh my!” or are out of sight much of the time. For instance, who would even thought of sea stars as predators? I know that I had not until recently despite my background in Zoology. Yet it has been shown that their loss can have profound effects on shellfish. And those cute little sea otters. Who would have thought that they have an important effect on kelp beds? 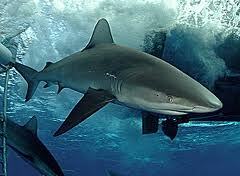 The film, “Jaws,” which came out in 1975, gave sharks a bad name that they have yet to overcome. That, together with the insatiable appetite of Chinese & other Orientals for shark fin soup (Talk about waste. They cut off the fins & throw the shark carcass away) & the dislike of commercial fishermen for sharks, who they view as competitors, in the same way that many elk hunters view wolves, has led to their wholesale destruction. No thought was given to the sharks’ role as the ultimate apex predator in the sea & the effect their demise is having on other fish lower in the TC pyramid. It is quite possible, even probable, that the loss of many commercial fish species is linked not only to overfishing but also to the destruction of sharks, which has upset the ecological balance in oceans. In this connection, commercial fishermen may be doubly responsible for the serious depletion of fisheries worldwide, through their overfishing & destruction of apex predators. We do not however, need to go to the ends of the earth to find examples of TDG. In my own little part of northern Idaho, we have seen the results of overfishing in Lake Penderay, invasive species like spotted knapweed & the infamous zebra mussels, and loss of biodiversity caused by overpopulation of elk in the Clearwater NF. There are a substantial number of elk hunters in the state of Idaho, whose idea of heaven seems to be forests containing only elk & hunters. One of their leaders recently stated that he would only be satisfied when hunters success rates reached 90% Success rates throughout the Northwest have been historically at around 18 -20% (Spokesman Review 2/22/08). Idaho already contains over 100,000 elk. He apparently wants to turn Idaho into an elk farm, where hunters do not even have to get off their ATVs to kill elk. I doubt that many other Idahoans would agree with that vision. These hunters & the politicians who support them are responsible for the present vendetta against wolves, which in the last year has resulted in the killing of around 429 out of only 760 wolves in this state & the extension of the wolf hunt to year around, a hitherto unheard of strategy for “managing” wildlife. Monster of God – by David Quammen A very readable account of how our fear & killing of predators is changing the world. Where The Wild Things Were – by William Stolzenberg A journalist writes about the research that been revealing the key role that predators play in ecosystems. Song of the Dodo – by David Quammen One of our best scientific & nature writers chronicles the researchers & their studies who have created the new field of Conservation Biology. Of Wolves and Men – by Barry Lopez A brilliant examination of wolf biology & the often-searing history of mankind’s relationship to these fascinating & badly misunderstood animals. 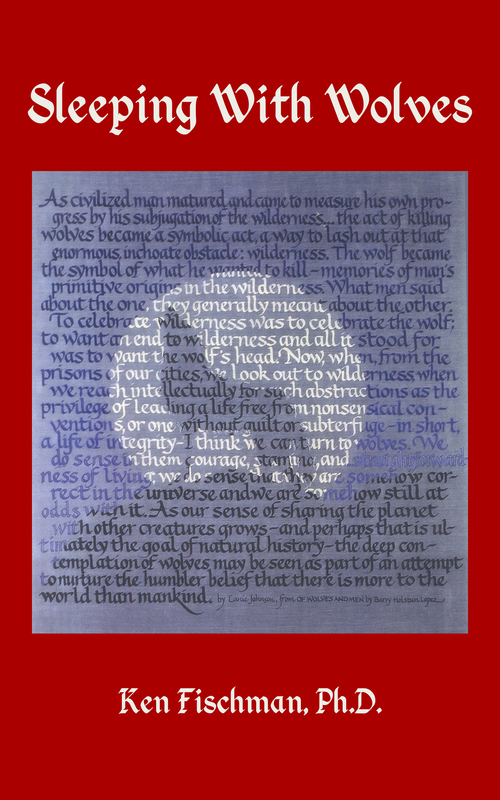 Wolf Country – by John B. Theberge. The results and conclusions of wolf biologist from an eleven year study of wolves in Algonquin Park, Canada. This book includes a lot of valuable information, written in a readable and popular format.